There’s something magical about New Year. Fireworks, champagne, fancy parties (or if one prefers, staying in bed for the whole night). The illuminated night sky helps us consider the past year that we’ve somehow managed to survive. New Year is the new beginning. New Year, new me. And then we forget about it two days later. But guess what – its fine! Let’s begin with a short history lesson (bear with me, don’t fall asleep). The Babylonians would ask the Gods at the beginning of each year for success in repaying their debts (as do students). The citizens of early Rome, too, made promises to Janus, the God after whom January is named. He had two faces – one to look back on the past and another looking towards the future. The Romans believed on December 31st that Janus’ duality reflected into the old and new year. In many religions this is a time of reflection upon self-improvement. What do we want to do in New Year? According to studies, (by American scientists, who else) on our lists there are things such as: working out, eating healthier, quitting smoking, “doing more exciting things”, finding a better job or love of life (adorable). Most of these are related to self improvement and education, not a great stretch from our Roman predecessors. And yet, most people who succeed in achieving resolutions each year are in their twenties. How very ageist. 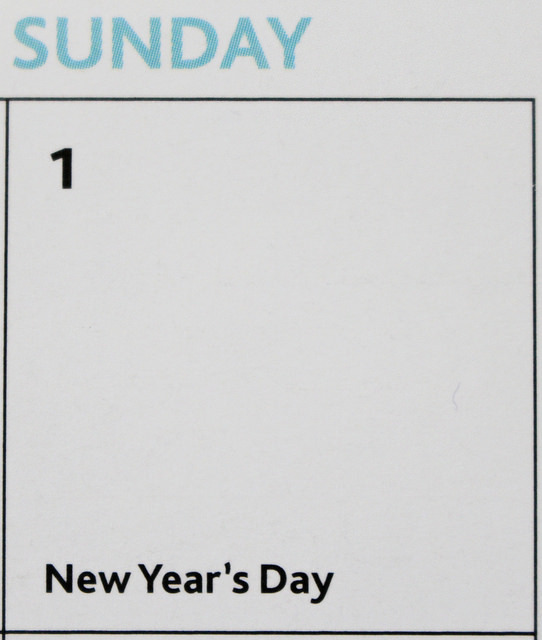 And now for even more exciting news – two in three people fail in their New Year’s resolutions. That’s quite a lot, so you shouldn’t worry about the impossible pressure of the ‘New You’. The best way to not feel bad about failing resolutions is simply… not having them. Or maybe just be realistic and set goals that are suitable for you. Little steps. Great plans are sometimes impossible to do, let’s be honest. So you want to find a treatment for cancer, go to India to find yourself (yawn) and run a marathon… and all of that in January? Count me out. But we’re students; we’re able to do impossible things. Though, we also know that doing too much unnecessary work is just stupid. You think you’re amazing, different… you can do it. You’re motivated, but then something happens and well… the result is January blues. Let me clarify – setting up goals is good. It’s great. It keeps you motivated. But not achieving them is not bad either. It doesn’t make you a loser, and achieving wonderful goals doesn’t make you better than the rest. Though, perhaps, a little slimmer. Don’t feel obligated to change yourself just because someone boasts about their great plan to fly to the moon. Are you happy? Good. Happy New Year. Next articleLU Women+ Forum: Who are we and what do we do?